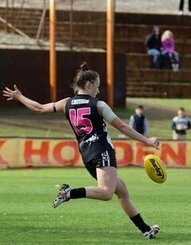 Two existing members, and one new member have been elected to the Mundella West Australian Women's Football League Board during the 2018 Annual General Meeting held at the Subiaco Football Club on November 13. Existing Treasurer Danielle Fagents was elected back to her financial role, entering a new three year term from 2018 - 2021. Joining Danielle in a three year term is returning member Sarah Campbell, who will take on the administration role until 2021. 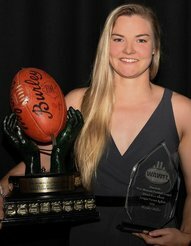 The 2018 WAWFL AGM will be held on Tuesday 13th November, 6:30-7:30pm at The Don Carter Room, Subiaco Football Club, Leederville. 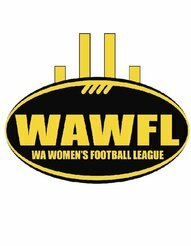 Please note that attendance at the AGM is compulsory for all WAWFL Clubs. As far as grand finals go, this was one for the history books. An epic showdown between East Fremantle and Subiaco, it was an afternoon where ladder positions meant nothing, and time meant everything. 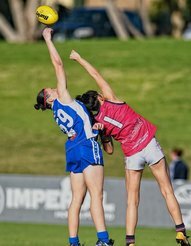 Set against a backdrop of blue sky, scarce winds and plenty of sun, over 2500 spectators packed into Claremont Oval for the Mundella WAWFL League Grand Final showdown. It’s been a few years between premiership drinks for both East Fremantle and Subiaco. Come Sunday afternoon, that equation will change. With the Sharks searching for their first flag since 2011, their journey in 2018 has been telling. From round one, the club wasted no time taking the wheel and steering it to the top of the ladder – and not once have they looked back. 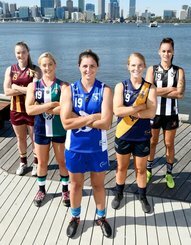 The Mundella WA Women's Football League Preliminary Finals will be played this Sunday, August 19. 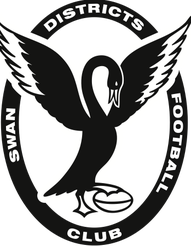 The League clash at 2pm will see Peel Thunderbirds clash with Subiaco for a place in next week's Grand Final against East Fremantle. 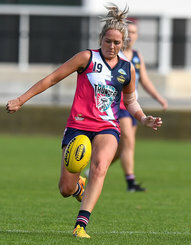 The Reserves Preliminary Final will feature Peel Thunderbirds and East Fremantle with the winner to play Claremont, while the Rogers Cup Preliminary Final sees South Fremantle and East Fremantle doing battle for a spot in the Grand Final, against Peel. 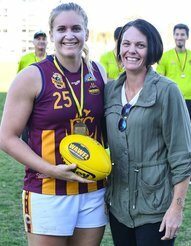 Fighting to secure a finals berth, it was all or nothing for Subiaco in their Round 15 clash with Claremont on Sunday afternoon. 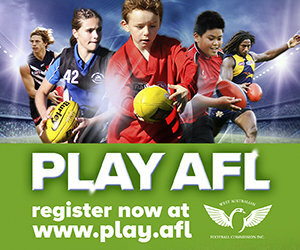 With West Perth hot on their tail in fifth by percentage, a loss would have placed the Lions a win outside finals contention. 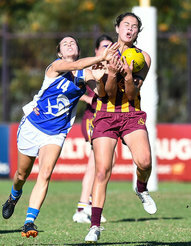 Yet despite being out of a position to make finals, their opponents in Claremont weren’t going down without a fight.